An Alternative Education program is a public secondary school that provides a nontraditional education program, including the Alaska Military Youth Academy; a public vocational, remedial or theme-based program; a home school program that is accredited; a charter school; and a statewide correspondence school. Alaska Statute, AS 14.30.365, is called the ”Home School Law”. This law permits students who are enrolled in alternative education programs and accredited home schools as defined under AS 14.30.365, and who are otherwise eligible to participate in high school interscholastic activities, to request a “school of eligibility” within a public school district or at a religious or private school. The following suggestions and guidelines have been developed to aid school administrators in fully implementing the “letter and the spirit” of the law. For further clarification contact ASAA or your district level administration. It is important to fully understand the definitions of alternative education program and accredited under the statute so that there is no confusion. Alternative Education Program: The Association adopts the statutory definition, in AS 14.30.365 (c)(1), of “alternative education program” as a public secondary school that provides a nontraditional education program, including the Alaska Military Youth Academy; a public vocational, remedial or theme-based program; a home school program that is accredited, as defined In this section, a charter school authorized under AS 14.03.250-14.03.290; and a statewide correspondence school that enrolls students that reside outside of the district in which the student resides and provides less than 3 hours a week of scheduled face-to-face student interactions in the same location with a teacher who is certified under AS 14.20.020. Accredited: For purposes of determining whether a home school program is “accredited” such as to qualify as an alternative education program herein, the State Department of Education and Early Development (DEED) has identified AdvancED as the sole recognized body to accredit home school programs that have standards similar to Alaska’s standards; the Association shall regard as “accredited” those home school programs that have been accredited by AdvancED. School of Eligibility: shall be the public school that, (1) based on the residence of the parent or legal guardian, the student would be eligible to attend were the student not enrolled in an alternative education program; or (2) at which the student requests to participate, if (A) the student shows good cause, as determined by the governing body of the Public School the student would be eligible to attend were the student not enrolled in an alternative education program and (B) the governing body of the school in which the student seeks to participate in interscholastic activities approves. Or, a religious or other private school regulated under this chapter that, (1) the student would be eligible to attend were the student not enrolled in an alternative education program; and (2) at which the student requests to participate, if the administrator of the school approves. 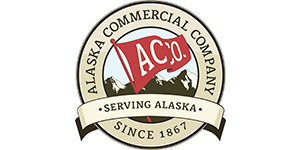 A transfer from a school outside or within Alaska to an alternative education program constitutes a transfer subject to the rules established in ASAA Bylaw Article 12, Section 9 for transfer of eligibility to another school. Students attending alternative education programs who establish interscholastic activity eligibility residency at a member public, private or religious school are subject to the rules established in ASAA Bylaw Article 12, Section 9 for transfer of eligibility to another member school.